Bred Violet, classy best in the West. bees (Anthidium illustre is one), Syrphid flies, et al. Violet is a well-known hybrid (Penstemon x parishii). when natural hybridization takes place. Penstemon x parishii is center right. ← I Said It Was Not A Bee! Thanks for this very interesting post. 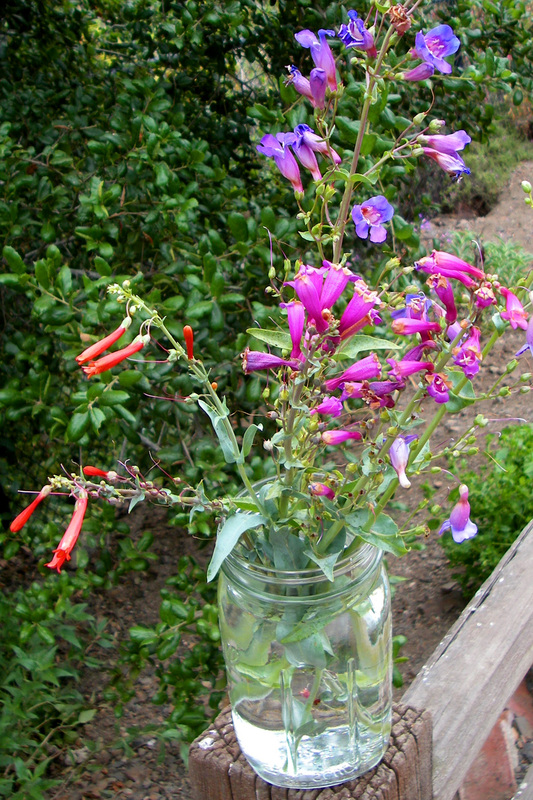 The beauty of Penstemon’s can’t be beat! Spectacular Penstemon is well-named. A beautiful approach to gardening indeed! A very nice plant, the Penstemon’s are among one of the plants with great beauty! Excuse my ignorance but are these also called snapdragons? The garden of the house I grew up in was filled with them! Penstemons are members of the same family as snapdragons (Plantaginaceae), but they are very different in having large stalks of flowers, large stiff leaves and, as you see here, they easily hybridize. These particular species grow about three to four feet tall on substantial stems.